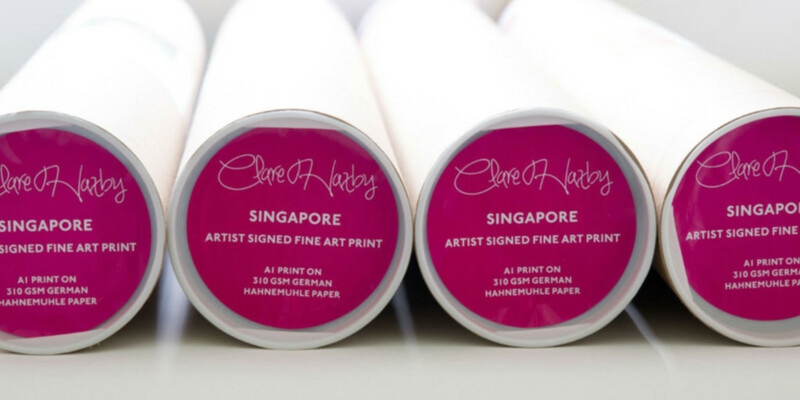 Fine artist Clare Haxby’s timeless brand, London & Singapore. 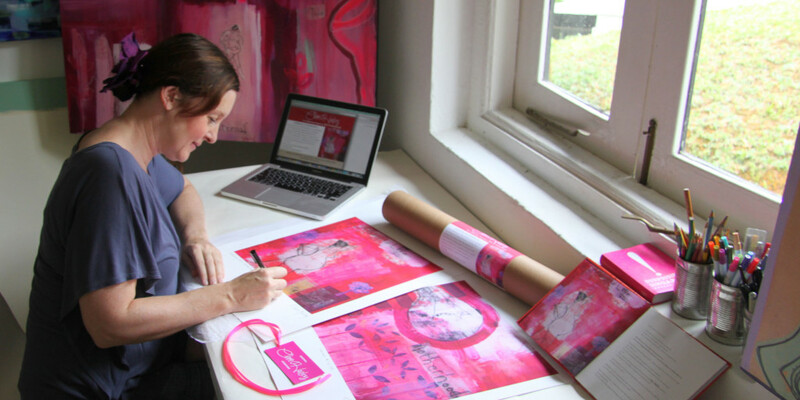 Clare and Helen at One Line started working together in June 2014. 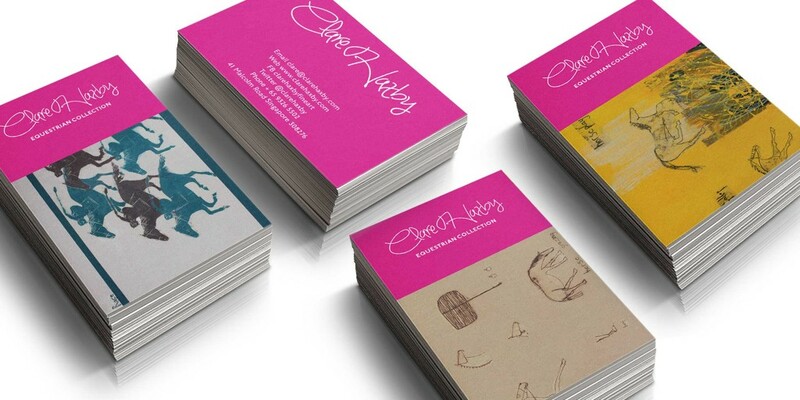 In that time we’ve provided Clare with design and product for her fine art packaging and stationery. 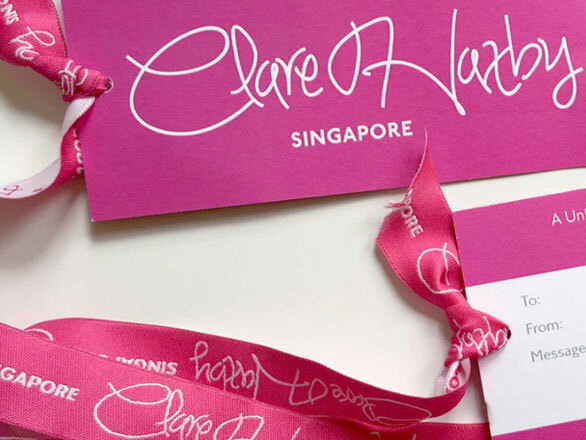 We’ve been able to design and source ribbon, stickers, gift tags, branded invoices and labelling to ensure Clare’s brand integrity is consistent in her printed media. 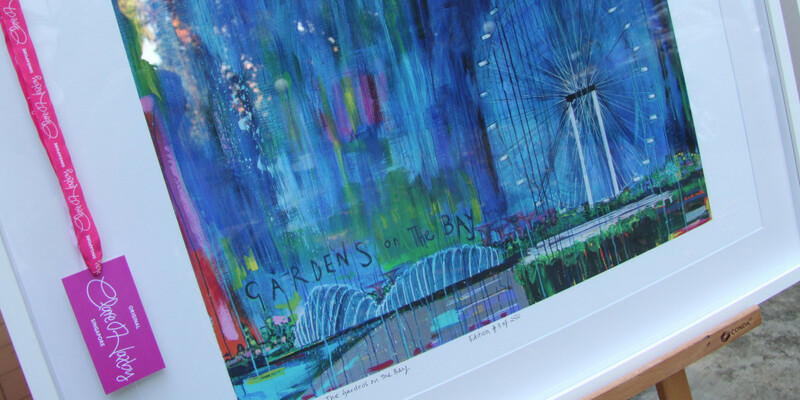 Clare’s fine art prints are sold worldwide from her offices in Singapore and London. 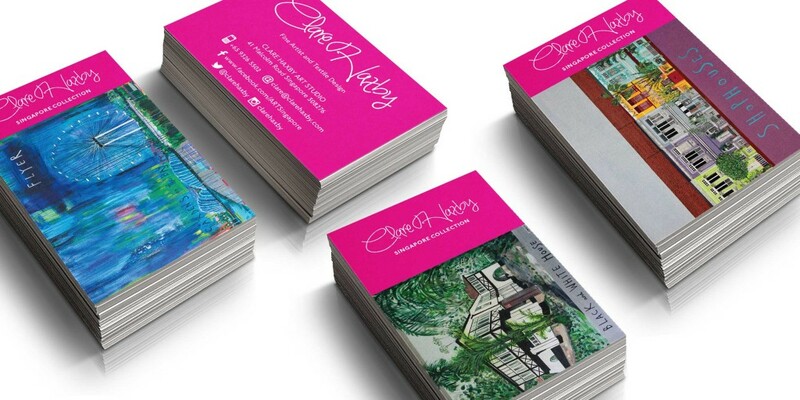 Her collections are an inspiration to work with and a special favourite has been the artwork for Clare’s business cards, each one with a unique reverse side truly showing off her beautiful fine art. 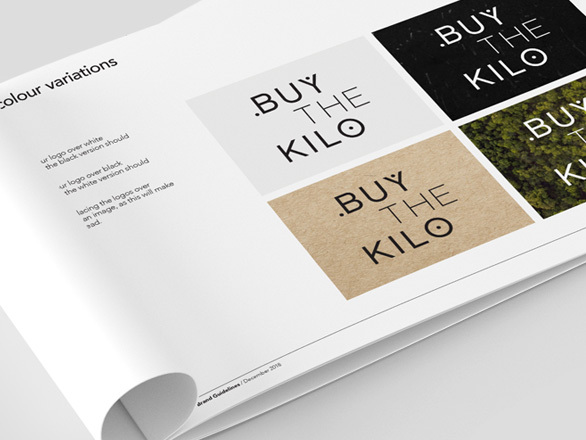 Key services: packaging design, stationery design, print handling and product procurement. 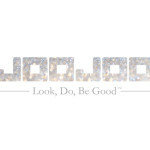 Even better: Empowering women in business. 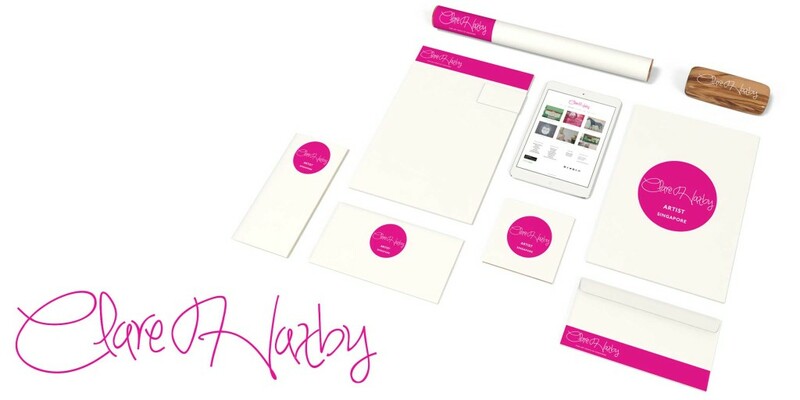 Looking for help creating brand consistency with your packaging and stationery? 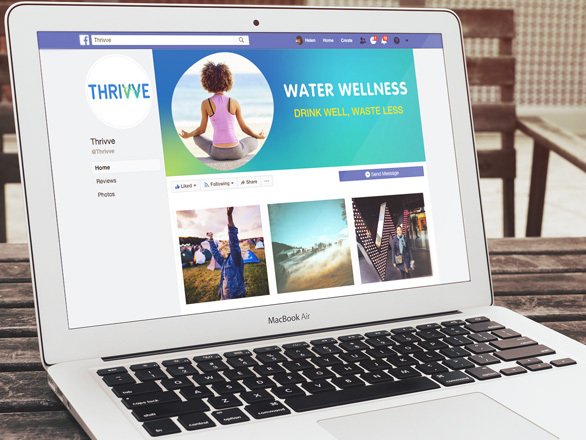 A water wellness brand to THRIVVE in. 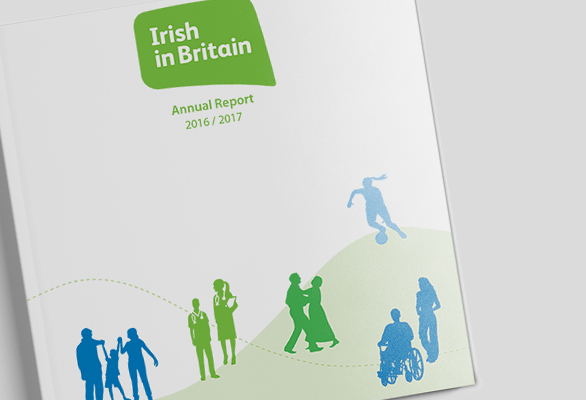 Turn your annual report into a sales tool.